Rep. Devin Nunes (R-CA) filed a lawsuit against Twitter and several of its users on Monday seeking $250 million in compensatory damages and $350,000 in punitive damages, reports Fox News. The suit accuses the social media giant of "shadow-banning conservatives," including himself, in order to influence the 2018 US elections through the systematic censorship of certain opinions - while "ignoring" multiple lawful complaints of abusive behavior. Also included in the lawsuit are several accounts which Nunes claims defamed him - accusing the lawmaker of being a racist, having "white supremacist friends" and turning out "worse than Jacob Wohl," a 21-year-old political exhibitionist and former investment adviser who was charged with 14 counts of securities fraud in 2017. The lawsuit alleges defamation, conspiracy, and negligence, and seeks not only damages, but also an injunction compelling Twitter to turn over the identities behind numerous accounts he says have harassed and defamed him. "Twitter created and developed the content at issue in this case by transforming false accusations of criminal conduct, imputed wrongdoing, dishonesty and lack of integrity into a publicly available commodity used by unscrupulous political operatives and their donor/clients as a weapon," reads the lawsuit. "Twitter is 'responsible' for the development of offensive content on its platform because it in some way specifically encourages development of what is offensive about the content." Twitter is accused of supporting "an orchestrated defamation campaign of stunning breadth and scope, one that no human being should ever have to bear and suffer in their whole life," after the platform allowed defamatory material to be spread about Nunes. According to the complaint, "Twitter did nothing to investigate or review the defamation that appeared in plain view on its platform. Twitter consciously allowed the defamation of Nunes to continue" despite reports and reviews by Twitter's content moderators. 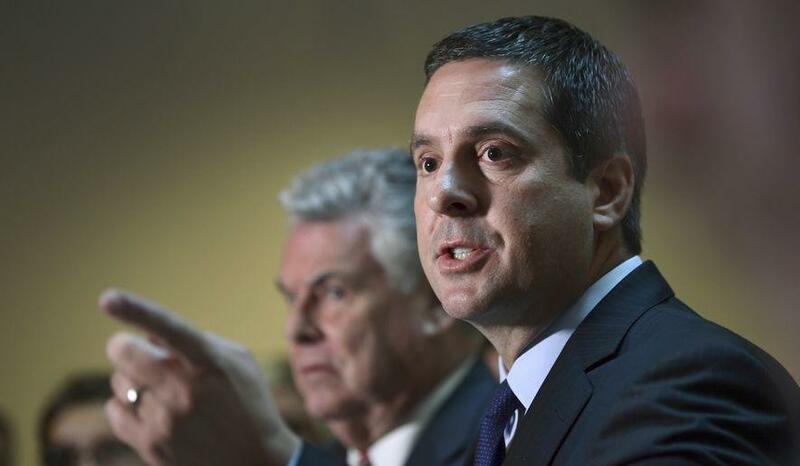 "As part of its agenda to squelch Nunes’ voice, cause him extreme pain and suffering, influence the 2018 Congressional election, and distract, intimidate and interfere with Nunes’ investigation into corruption and Russian involvement in the 2016 Presidential Election, Twitter did absolutely nothing," the complaint continues. On Monday, Twitter admitted to shadowbanning The Federalist co-founder Sean Davis.